The following pages will focus on the continuity and continuum of care and where and when quality matters. Continuity of care is also an aspect of quality. It describes an individual’s contact with care. Continuity is experienced when care is delivered ‘by the same healthcare professional or team throughout a single episode of care’ whenever possible (see NICE 2012). The continuum of care on the other hand, implies that high quality care should be available wherever (the dimension of place) and whenever (the dimension of time) it is needed (see Kerber et al 2007). While in many health systems there is an aspiration to provide both continuum and continuity of care with the aim of quality improvement, it is rarely possible to fully implement this given the resource-constrained nature of the health sector in many countries. The continuum of care has been promoted by many as a critical element in improving the quality of Maternal and Newborn Health (MNH) and was featured in the Lancet Neonatal Survival Series 2 (2005) and the Women Deliver Special Edition (2007). The continuum of care is a ‘core organising principle for health systems that emphasises seamless linkages between health care packages across time and through various service delivery strategies’. It also underpins Partnership for Maternal, Newborn and Child Health (PMNCH) conceptual framework and the Opportunities for Africa’s Newborns publication (2006). Figure 2.5, from the PMNCH framework, shows the linkages between the various places where MNH care is provided. Failing to have an integrated approach to the services and care provided across this range can lead to fragmented services, lowered uptake of services, a loss of efficiency, increased costs and have an impact on the quality of care provided. It can also lead to frustrations for service users and service providers and remove opportunities to promote the uptake of other related services such as post natal care and contraception. Source: Partnership for Maternal, Newborn and Child Health (PMNCH), 2011. The continuum of care is a “core organising principle for health systems that emphasises seamless linkages between health care packages across time and through various service delivery strategies”. The factor of time is important to consider from a quality perspective. Childbirth and the immediate few days after delivery are considered the most risky times for the mother and baby. Two-thirds of maternal deaths occur in the postpartum period (see Li et al 1996) and 30% of stillbirths during childbirth (see Kerber et al 2007). Although improving the quality of services during high risk times are a priority, MNH services cover a broad timespan from pre-conception to after delivery for both mother and newborn. The concept of the continuum of care encourages consideration of the access to quality MNH services throughout this lifespan. 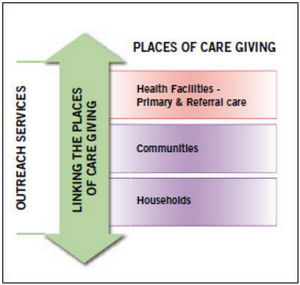 Figure 2.6 outlines how an effective continuum of care will address the needs of mothers, the newborn and child throughout the life cycle, wherever care is provided namely: at home, primary care, district and regional or provincial levels. Question for reflection: By definition a continuum of care refers to a period (dimension) of time and therefore there are challenges in introducing continuity of care as a measure to improve quality of services. Are there opportunities along the COC where it would be relatively easier to introduce continuity of care as part of strengthening the COC to deliver quality MNH services?